In my “Future Classics” series, I try to guess what current-era Apple products may become collectable in the future. The iMac G5 was far more mature in comparison to its predecessors. This machine was simply a neutral white rectangle, less than 2” thick, held aloft by a single piece of aluminum. Gone were the cutesy colors and childish nature of the infant iMac G3 as well as the nose and lip piercings of the teenage iMac G4 that made sure it stood out of a crowd. The iMac G5 had finally grown up, moved out and got a job. It was the deliberate lack of any ostentatious characteristics in the iMac G5 that would pave the way for Apple’s minimalistic design choices over the next decade. The iMac had finally reached adulthood. As Merrick pointed out in his article, the iMac G5 was very serviceable, which turned out to be handy, as Apple had to open a wide-reaching repair extension program due to bad capacitors on the logic board and in the power supply. In October 2005 — a mere 14 months after introducing the iMac G5 — Apple replaced it, with the iMac G5 (iSight). Apple today unveiled the new iMac G5 which features a built-in iSight video camera for out-of-the-box video conferencing and the debut of Apple’s breakthrough Front Row media experience. Front Row gives users a simple, intuitive and powerful way to play their music, enjoy their photo slideshows, and watch their DVDs and iMovies, as well as popular movie trailers from apple.com and music videos and television shows purchased from the iTunes Music Store, on their iMac from up to 30 feet away using the new bundled Apple Remote. The new iMac G5 comes in a sleek, new design that is even thinner than its predecessor, and starts at just $1,299. 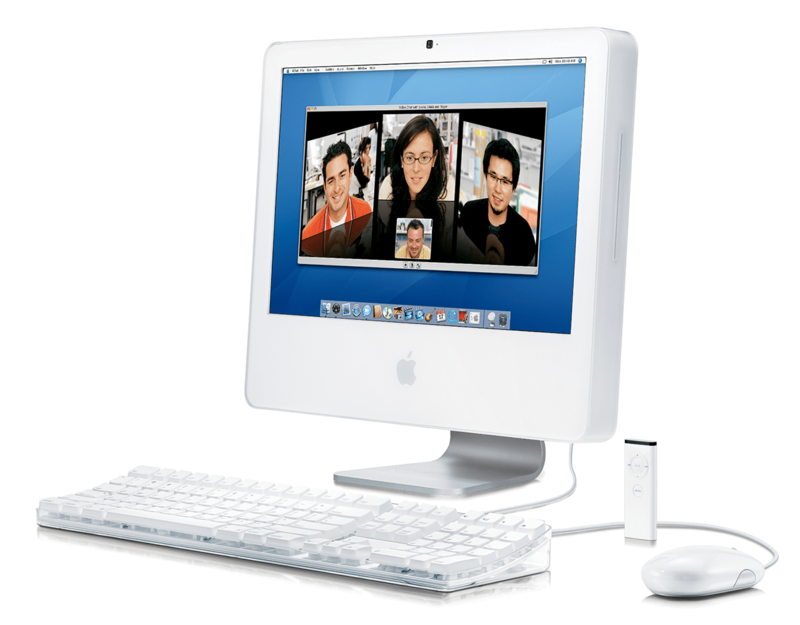 The iMac G5 (iSight) was introduced at Apple’s October 2005 Music Special Event, alongside the 5th generation iPod (the first with video playback) and the inclusion of TV shows in the iTunes Store. 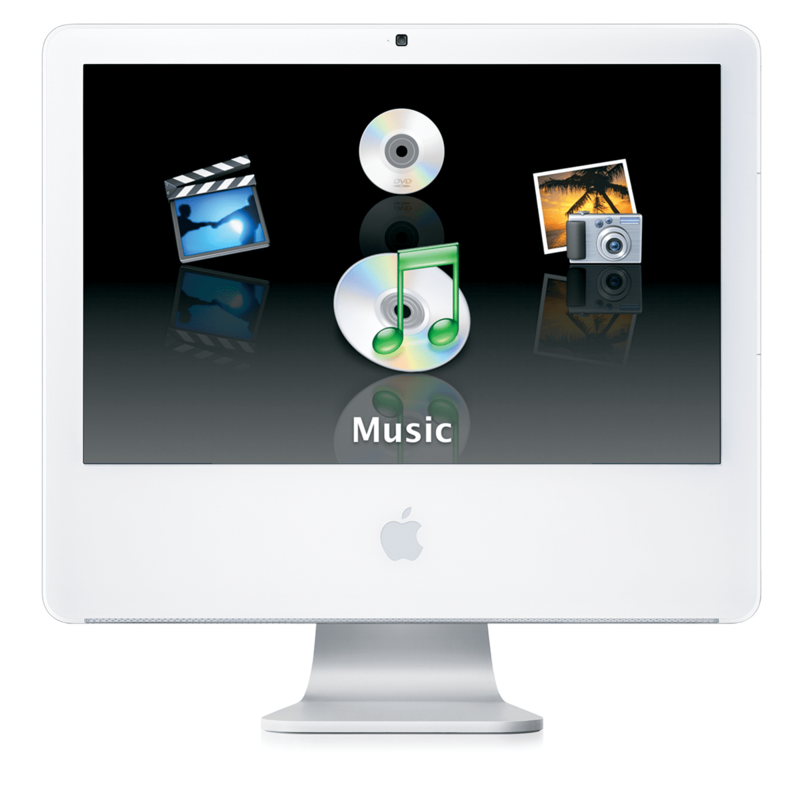 Front Row pulled in media from users’ local iTunes and iPhoto libraries, could be used to play DVDs and even user-created iMovies and video podcasts. Jobs hinted that Front Row was going to take on Microsoft Media Manager, and while I’m not sure it took any sales from Redmond, it turned out to be a popular feature for OS X users. I remember installing it on my PowerBook G4, ignoring Apple keeping it just for IR-port enabled Macs. So, why does the iMac G5 (iSight) deserve to be the considered a future classic? The software features introduced with this machine helped shape much of what we do with computers today, decade later — enjoy media, hold video conferences and good off. All of that was possible before the iMac G5 (iSight), but this machine excelled at these things. Plopping down on the catch and firing up iTunes from across the room was no longer a task reserved for nerds with crazy hardware setups. Equally notable is the machine’s lifespan. 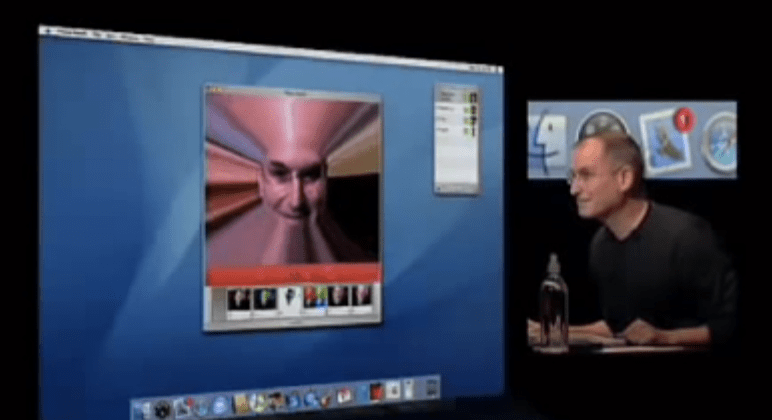 At Macworld 2006, just three months after being introduced, Jobs announced that the first Intel-powered machine from Apple would be the iMac. The Intel iMac shipped with the same features, size and price as its G5-powered friend, but with twice the power, thanks to Intel’s Core Duo silicon. While I’m sure some users were glad to hold on to their PowerPC-based iMacs, having a $1299+ machine replaced within three months didn’t leave a good taste in many customers’ mouths. More importantly, it makes the iMac G5 (iSight) a rare machine.